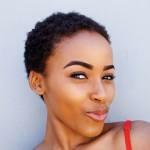 If you’re like most women, you may find it difficult to recreate the gorgeous and frizz-free looks that you’re used to receiving at the hairdresser. You might think it’s your technique but more likely, the issue is that you’re not using the right products. 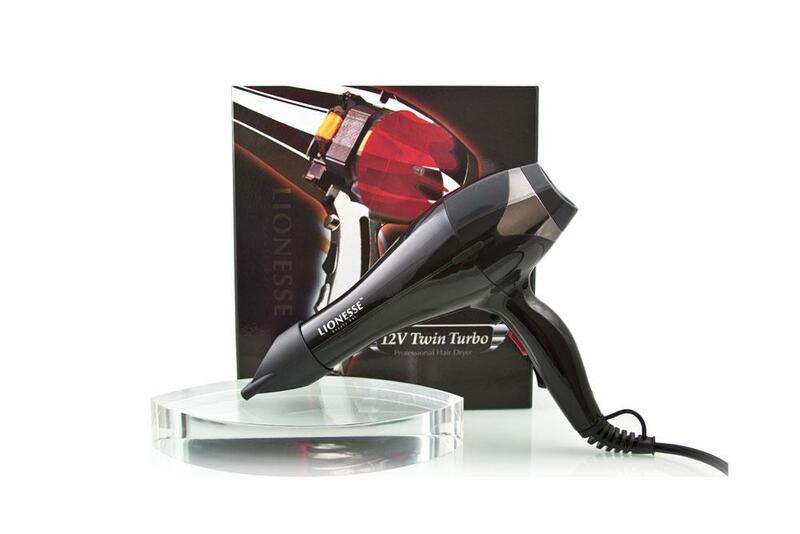 Known for their superior hair care tools, Lionesse presents their 12V Twin Turbo hair dryer, which is just as powerful as the units you’ll find at your favorite salon. The Lionesse 12V Twin Turbo Professional Hair Dryer is a powerful, salon-quality tool that can help you achieve amazing results at home. Tourmaline is a rare gemstone that has a unique quality: when it’s heated up, it produces only negative ions. What does this have to do with your hair? Quite a bit! When negative ions come in contact with your tresses, they help to close up the cuticles, which results in smooth, frizz-free locks. The blow dryers that you find in professional salons use this semi-precious mineral, and that’s the reason they’re able to produce such amazing results. What’s another thing that professional hair dryers have that drugstore ones don’t? Extra powerful motors, like the 2000-watt found in this Lionesse dryer. With two speed settings and a Cool Shot button, this versatile dryer allows you to dry and style your hair with ease. If you’re used to pay $25 to $50 for a blow dryer, $400 is going to seem like a steep price tag. You might wonder if paying several hundred dollars more for a blow dryer will really have any effect on the outcome of your hair styles, and the answer is “most likely”. Unlike the blow dryers you’re used to using, this one features a powerful, 2000-watt motor. It’s the same kind of blow dryer that you’ll find at salons. And it’s the kind that’s going to help you achieve the soft, silky results that your current dryer just can’t produce. Further, you can say goodbye to the damage that’s often created by hair dryers that do nothing more than spit out heat. With this dryer, you’ll have negative ions on your side, which will help you to naturally smoothen your hair, while keeping its shine intact. If you’re tired of spending time and energy on your hair, only to end up with stiff, fried tresses, consider investing in one of these professional blow dryers. Not only will you spend less time dealing with your locks you’ll enjoy smoother, softer hair that requires less maintenance.